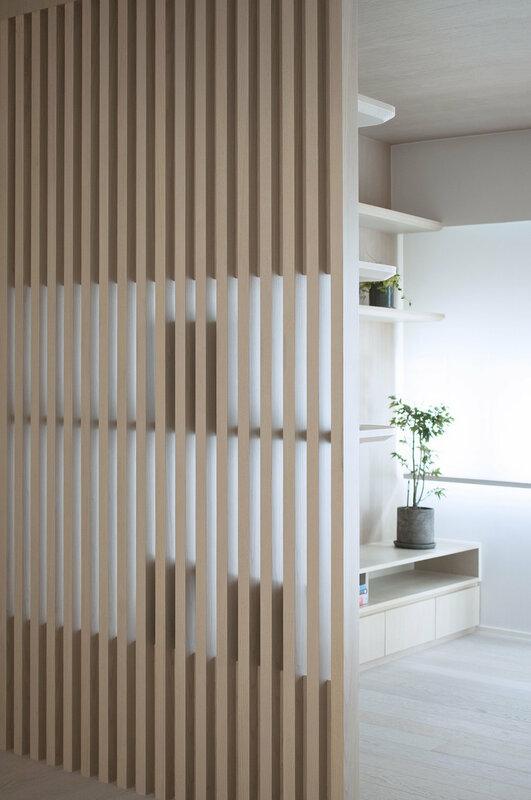 Bean Buro has designed a 1,200 sqft (110sqm) apartment located in Happy Valley, overlooking the race course, for a young couple and their newly born child. The concept for the space grew in the form of cocoons, adapted for each living area to become a sacred space. Each of the zones are adapted and custom designed to respond to the needs of the family. Everyday activities such as reading a book or taking a nap become a special moment as the members of the apartment can nest in those personal nooks and crannies. After carefully studying the site, we decided to locate the ‘cocoons’ such as bedrooms and study where they could have access to the best views. This would also allow plenty of natural light in, as it was essential for the client to feel at ease in the areas in which they would be spending most of their time. A light timber finish is used to clad the inside of the bedroom and living area cocoons. As we advance in transitionary spaces such as the entrance and hallway, these materials change to a calming grey paint finish. Slatted bookshelves with integrated hooks for coats and hats are used as dividers between those spaces. 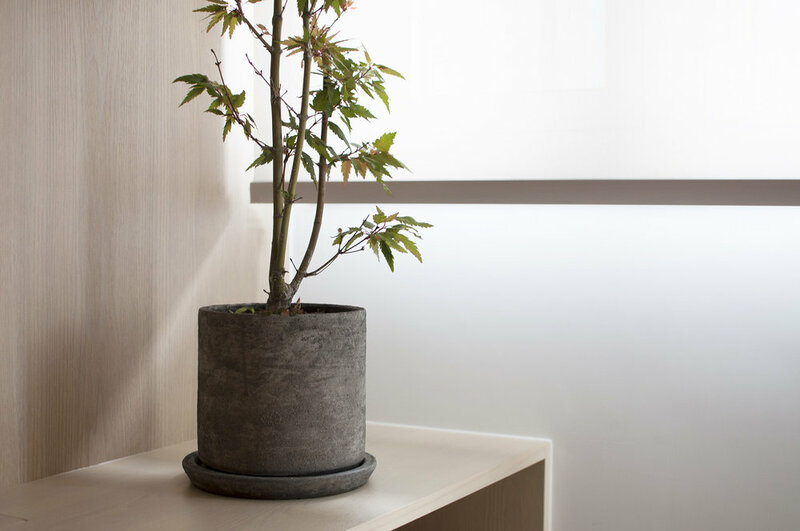 The palette for the design takes its inspiration from traditional Japanese architecture in which light wood is widely used to create a warm and soothing atmosphere. As the couple works from home, one of the challenges for this project revolved around the working areas. As the husband required a private enclosed working space, the wife preferred an open hidden nook with an integrated desk, sufficient storage for school books and in proximity of the piano, on which she occasionally plays to take a quick break from work. Hence, piano and study nook are integrated in a continuous inhabitable wall. The child’s space is designed with ergonomics in mind. As a newly born, the baby will grow learning and playing in a space carefully crafted for him. All ledges, bookshelf and working station are custom-built to his height, tucked away under the bed as a safe space for childhood fantasies and development.